NordicTrans translation services agency is the largest operating translation company in the whole region of Northern Europe, which specializes in the Nordic and/or Scandinavian languages such as Icelandic to English translation services. As a translation company, we have mastered the craft by being in the translation business for more than 19 years now since we had our debut in 1999. Right now, we are one of the leading translation agencies around the globe who are recognized by the American Translators Association (ATA) and the International Standard Organisation (ISO). We cater to translations for almost any language you can think of, like the Icelandic translation to English or to any other language specified. We deliver high quality outputs, at fast turnaround times, and in truly affordable rates. 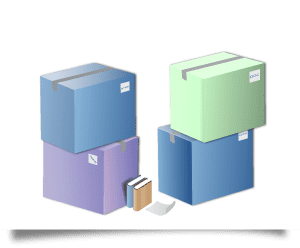 Since then, we’ve vowed to a commitment of providing our customers with excellent services in all their translation needs, no matter how big or small the project is. Our topmost priority is quality assurance, punctuality, and customer satisfaction guarantee. Regardless of the size of your translation project, we are always ready and eager to get that job done. 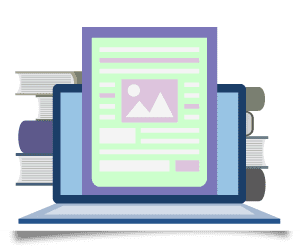 For any Icelandic translation needs you may have, our in-house teams of professional native translators and proof-readers led by our project managers are always willing to accept your projects. We can translate from Icelandic into any other language, just as in Icelandic to English translations, and vice versa. We are also able to translate Icelandic into any other language, not just into English. Avail of our services thru our web based project management system and communicate with us via our 24/7 live chat customer support. Our services are offered at affordable rates with no hidden fees and additional charges for projects done on weekends and for rushed projects. All you will get from our translation services are high quality translation outputs, at fast turnaround times, and with the best prices. You may also get your live quote and word count for all your projects from our online portal. If you need any translation services, like the Icelandic translation to English for example, please don’t hesitate to get in touch with us, let us solve your translation problems, whatever they may be. You can even monitor the progress of your ongoing project, as well as view your previous projects. NordicTrans will always uphold the dedication of prioritizing customer service satisfaction thru timely project delivery, lesser and more affordable price rates, and high quality accurate Icelandic to English translation services. Our teams of professional native translators for almost any language in the world can render translation services at any time or anywhere you need it, including the Icelandic to English translation services. 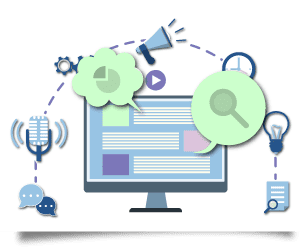 We only work and engage partnerships with native speakers as our translators, along with our in-house teams comprised by our proofreaders and project managers; so that we can produce accurate and high quality translated outputs. Customer satisfaction is our guarantee. A large number of Icelandic translators working with NordicTrans are native in-country translators who are not only experts in the language but are also well familiar with the local culture of Iceland which helps them produce genuine Icelandic translations. Our experienced Icelandic linguists will translate your material quickly and expertly so that you can use it to help your clients, market to more consumers, etc. At NordicTrans, we accept all types, kinds and sizes of translation projects. We translate from and into any language you request for translation, and vice versa. Just name it and we will translate those projects for you. You may contact us directly via our website, or you may call and/or email us. Whichever way you connect with us, we will give you the translation services you need and require us for. Try us now and experience it all. Isn’t it amazing how languages are so different from each other even when the regions are close? But when it comes to Icelandic, there are many good reasons why it is so different than any other language. For instance, Icelandic is considered the most ancient Germanic language, dating from the 11th century. And even before being documented by transcripts and documents, the Icelandic language was orally used not only in Iceland, but in other far-off regions in the Northern Europe as well. Another peculiar rather unique aspect of the Icelandic language is that its speakers never use any other language when it comes to creating a new word such as the English language does. In fact, if they have to come up with a new word, they invent it by combining other Icelandic words only. For such a unique, antique and authentic language, the translation also requires the same kind of accuracy and perfection. 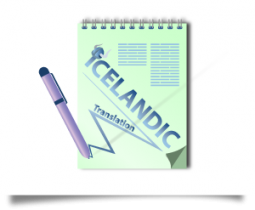 When you need Icelandic to English translation, it needs to be done by professional Icelandic translators, experienced linguists who have been translating Icelandic to English in all areas of life. Those native translators know the language and all its words, their uses, interpretations and everything in between. So no matter how different and difficult Icelandic could seem to you, it’s something that our translators are dealing with every day. Iceland is an island and a European country, situated midway between North America and mainland Europe. The country of Iceland is relatively small and has a small population that is centered on its capital city, Reykjavik. It is highly developed and its citizens enjoy a very high standard of living. It is the place where fire and ice co-exist. Where dark winters are offset by the summer’s midnight sun. Icelandic is the official language of Iceland. It is an Indo-European language, belonging to the sub-group of North Germanic languages. It is directly related to Norwegian and Faroese, although there are minor traces of Celtic sway in early Icelandic literature. It is an insular language, and has not been influenced very much by other languages. As a result, the language has changed very little from when the country was established in the ninth and tenth centuries. It did not become noticeably diverse from Norwegian until the 14th century, when Norwegian became ever more influenced by its neighboring languages. For the reason of its resistance to transform, wording from the 12th century is still clear to Icelandic school children. English translations for Icelandic residents can be a difficult task as choosing the right company for it is a task which requires time and effort. But at NordicTrans, we have a team of professional Icelandic translators that are not just skilled in translation but also are natives to provide accurate translations. 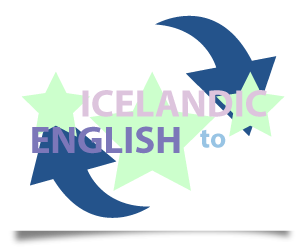 Icelandic to English translation is one of our services that is done by experts who understand the market. We provide translation services for educational documents. This help students in applying for universities and colleges in other countries. Our team of experts makes sure that the translation is done according to the rules so it will be accepted anywhere you need to submit it. We provide Icelandic to English translation services to businesses ranging from IT to finance and many other fields. Businesses that strive to grow in other countries can trust NordicTrans to translate their documents with precision. Aiming to go to the United States or to the UK has its own barriers and one of them is getting your documents translated. We provide the translation keeping in mind the accuracy required by the embassy and deliver it according to their rules set. Get in touch and enjoy accurate Icelandic to English translation services at low rates and outstanding customer support available around the clock.